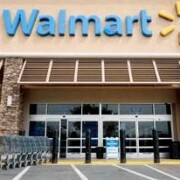 Here’s where Walmart is expanding its store base – Stan Tashman & Associates, Inc.
On the heels of announcing it would close more than 150 stores in the United States, Walmart says it will open 15 supercenters this month in Canada. These grand openings bring Walmart Canada’s total store count to 400 stores, including 312 supercenters and 88 discount stores. The company says its 15 supercenter projects represent an investment of more than $100 million and have generated approximately 700 new store jobs and 1,450 construction and trade jobs in that nation.